Stellar Fountain returns this week with a brand new single from label boss MiraculuM. The Hungarian artist has had his most creative and successful year by all accounts. A key single on Deersky’s Soundteller Records and one deadly remix of Verve’s ‘Sweeps’ have been recent highlights. Now he closes the year out another thematic single entitled ‘The Little Girl Who Shines Through’. Creating something people are going remember in club music does not come easy for most artists. MiraculuM though has a real knack for coming up with distinctive themes and ‘The Little Girl Who Shines Through’ does that yet again. Set against a simple but effective groove the track takes a hold of you with its unique musical / cross cultural theme. This is not one of those ethnic vocals which has literally been done a million times, but something string based, I’m guessing a violin or sitar. It’s quite catchy and there’s a cool storytelling-style emotion it evokes as it plays throughout the first act. It then gets washed away for a serene break and the lead in to the third act is gorgeous with the bubbly melodic backbone getting chance to shine, This is a gorgeous 11 minute journey and most likely one of MiraculuM’s most memorable, thematic records to date. It’s unconventional perhaps but it’s great to see someone trying something unique and different. It’s certainly an interesting track from a remixer perspective as well and the choices here all do something quite nice with it. First up Steve McGrath makes his ninth appearance on the label following a remix of Mindaugas Jak from September of this year. The UK artist takes a dubby approach, not using anything distinctive from the lead elements, rather opting for a clean, dynamic club bomb. The production is superb with firing percussion and a strong rhythmic core, wrapped perfectly around a mountainous bass line. There are some poignant moments and the third act builds to a lovely melodic conclusion, which is both tasteful and exhilarating. Definitely one that die-hard progressive fans should absolutely love. 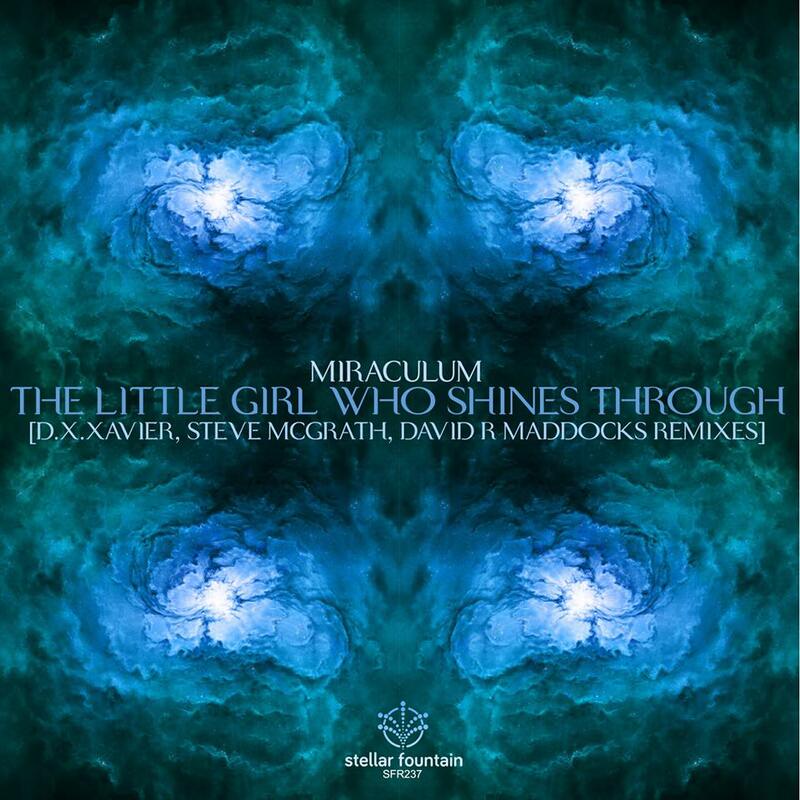 Next up David R. Maddocks makes his second appearance on the label and takes the track into spacey, techno inspired territory. Beginning with tough beats and a cavernous groove the UK artist works a wealth of wonderful motifs into the mix, decidedly spacey and monumentally trippy it makes for an amazing seven minute journey. Timeless and a touch emotive as well it’s definitely my favourite remix of David’s to date. Beautifully done. The release concludes with D.X.Xavier making his 12th appearance which follows a remix of Marcelo Paladini’s ‘Rules of Movement’ from February of this year. Now recognized as one of Spain’s top up and coming progressive artists D.X.Xavier delivers what is likely his finest remix of the year. Deep and emotive at its core, the piece flows through smooth chord changes while crisp drums and a granular stab fill out the framework. There’s a lone vocal sample which ties the emotional storyboard together, running continuously and playing off the melodies like a dream. Gorgeous remix from D.X.Xavier and a very unique release from MiraculuM and Stellar Fountain. Don’t miss it.